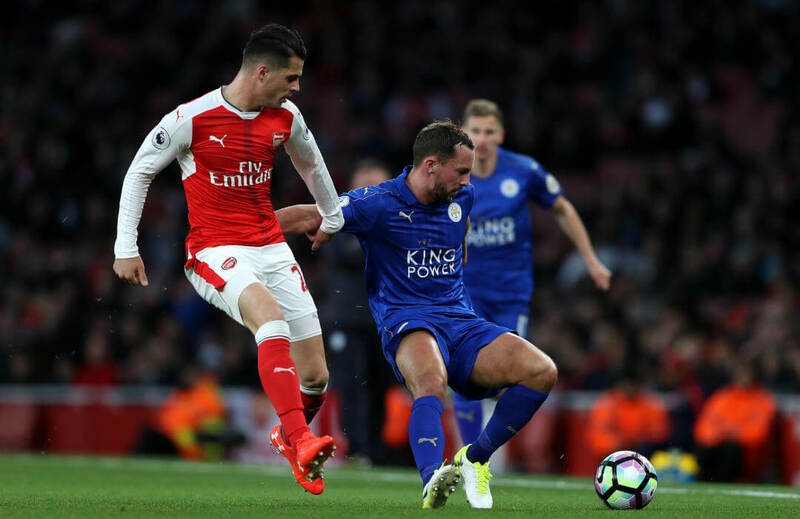 Arsenal test the mettle of Leicester City as they open their campaign in the 2017-18 season of the Premier League. The Gunners and Foxes have the same agenda: to improve on their performance the past term. Arsenal finished fifth, while Leicester landed a struggling 12th among 20 clubs. This will be a new chapter in their bid to reach greater heights as the English top-tier unfolds this weekend. Having beaten Chelsea in the warmup Community Shield competitions via penalty shootout 4-1 , Arsene Wenger’s men look to have the edge especially so when they face the visiting Foxes at the Emirates Stadium. Hope runs high for the Gunners if their recent performance were to be the gauge. New boy Sead Kolasinac showed he is ready more than defending but scoring as well during their defeat of Blues at Wembley Stadium. Olivier Giroud will also be around as well as other key men Alexis Sanchez, Mesut Ozil, Alex Oxlade-Chamberlain, Theo Walcott, Granit Xhaka, Nacho Monreal and big summer signing Alexandre Lacazette. Wenger will be a happy if this bunch clicks from all angles against the Foxes, and even beyond their initial opponents. For Leicester, they want to bring back the halcyon days of 2016 when they won the league when no one thought they would win it. New manager Craig Shakespeare is tasked to oversee that after Claudio Ranieri’s reign ended unceremoniously. Chief player Jamie Vardy remains their major threat up front as Riyad Mahrez is history with the squad. Wilfred Ndidi is tipped to sparkle and fill the shoes left by N’Golo Kante at midfield, while this could be the time for youngster Demarai Gray to shine bright. For this match, we pick Arsenal to run out as winners. The Gunners have beaten the Foxes in four of their last league matches. Three of those victories were at home, while the other one was at the King Power Stadium. A scoreless draw resulted in the other fixture held at Leicester. A win by Arsenal is worth 1.52, while a Leicester win pays 6.10. A draw returns 4.05. If another 0-0 draw ensues, it is priced 18.00. Two of Arsenal’s home wins both had 2-1 scorelines. If the hosts win by the same result, it is worth 8.00.